3.3 We may process your account data (“account data”). The account data may include your name and email address. The source of the account data is on page forms. The account data may be processed for the purposes of operating our website, providing our services, ensuring the security of our website and services, maintaining back-ups of our databases and communicating with you. The legal basis for this processing is our legitimate interests, namely the proper administration of our website and business. 3.14 In addition to the specific purposes for which we may process your personal data set out in this Section 3, we may also process any of your personal data where such processing is necessary for compliance with a legal obligation to which we are subject. (a) Personal data will be retained for a maximum period of 5 years from the data of provision. 5.3 We may notify you of changes to this policy [by email or through the private messaging system on our website]. 102 Blocking all cookies will have a negative impact upon the usability of many websites. 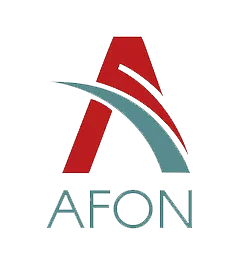 11.1 This website is owned and operated by Afon Group Ltd.
11.2 We are registered in England and Wales under registration number 11078465. 11.3 Our principal place of business is at 67 Wingate Street, London, SW4 0AF.